The book explains the important concepts / terms used in FI, provides you with several consulting, configuration, and usage tips on a variety of application components within FI. Separate chapters on SAP FI Tables and SAP FI Transaction Codes will help you navigate this complex software! This book will be an invaluable guide to everyone in the SAP community: beginners, end-users, programmers, and trainers. V. Narayanan is a Chartered Financial Analyst (CFA) and Project Management Professional (PMP). Currently a practicing SAP FI/CO consultant and project manager for a multinational consulting company, he has more than 12 years of SAP consulting and project management experience; he has been instrumental in successfully deploying SAP solutions for clients in Singapore, Taiwan, Germany, Belgium and India. 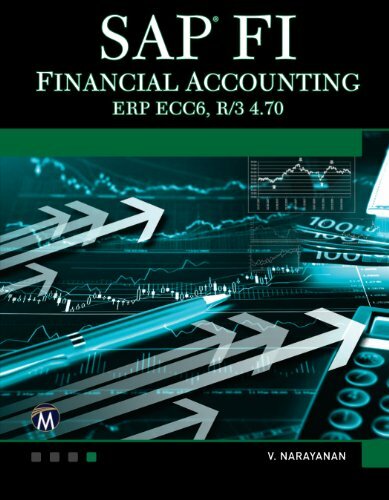 This bestselling author demystifies "SAP Financial Accounting (FI)" through an innovative and "easy-to-understand" Q & A format, using 440 + questions and over 180 illustrations & screenshots (including ERP 6.0). The book explains the important concepts / terms used in FI, provides you with several consulting, configuration, and usage tips on a variety of application components within FI. Separate chapters on SAP FI Tables and SAP FI Transaction Codes will help you navigate this complex software. This book will be an invaluable guide to everyone in the SAP community: beginners, end-users, programmers, and trainers. This title features an easy-to-understand "Q & A" format with configuration / consulting / usage tips. It includes screen-shots from SAP ERP (ECC 6.0), separate chapters on SAP FI Transaction Codes and SAP FI Tables. It uses over 450 questions, 200 screen shots and illustrations, 430 FI transactions, and 195 SAP FI tables to help master this complex software. It includes a CD-ROM with FI templates, short cuts, and figures (including 4color) from the book.